How do I keep an employee from punching time when not scheduled to work? Punch Limiting allows you to restrict when an employee can punch in or out. 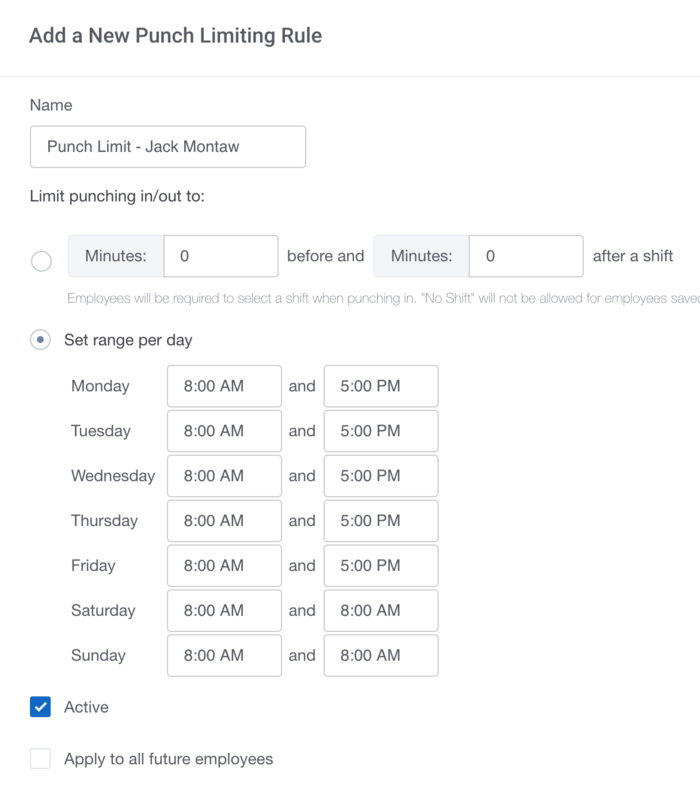 By using our Punch Limiting feature, you can completely restrict employees from being able to punch time when they are not scheduled to work or on days when your business is closed. On the days you'd like to keep your employees from punching any time, you just need to enter the same start and end times. Below is an example showing you how to keep employees from punching any time on Saturday or Sunday. Once you're done setting up your rule be sure to check Active, apply it to the appropriate employees and Save!